Scuba Shack can service all Aqua Lung and Scubapro equipment. Other brands of gear can be serviced depending on the availability of parts and repair kits. For questions about what gear can be serviced call 615-84-SCUBA or bring your gear to our Old Hickory store to have a technician take a look. Our repair shop is located at our Old Hickory store, but repairs can be dropped off or picked up from either store location. Please allow at least 3 weeks for your gear to be serviced and returned; some repairs may take longer depending on the availability of parts. 1. After diving, always rinse/soak your gear with freshwater. Practice good self maintenance! 2. If you are planning a dive trip, bring your gear in for service at least 2 months before your trip. time until your next dive. 4. 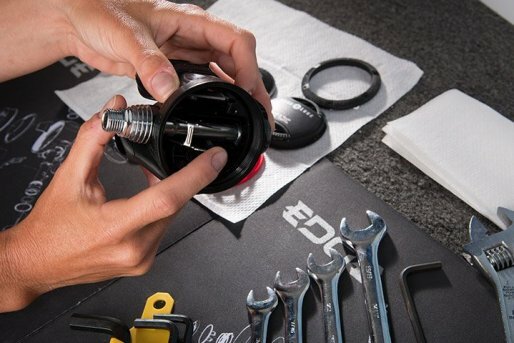 Not all scuba parts are created equal... some parts for older models may no longer be available. trained technician take a look. 7. Stay safe and protect your investments - get your gear serviced every year!